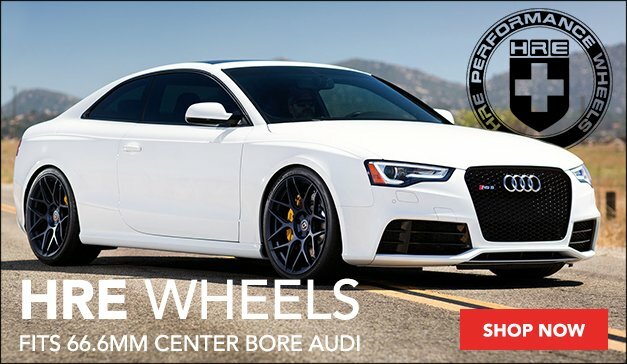 The easiest, most transformative modification for your Audi is a set of new, perfectly selected wheels. Now with offerings from HRE, you can be sure to find the perfect style that compliments your ride. Designed to bolt right up to your car, these wheels are available in different offsets and sizes to allow for the perfect fitment and finish. If you want to achieve an extreme look, don't forget to check out our large assortment of ECS Tuning wheel spacers and lug bolts. Get Ready to Roll with HRE Wheels!